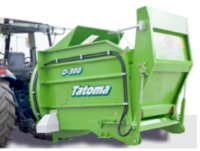 Tatoma straw choppers are designed to fit many types of operation, insuring the best feed or bedding for your animals. Tatoma straw choppers are very efficient when chopping wet material and corn stalks for feed or bedding. Several models are available, tailored to the size of your operation and number of animals. 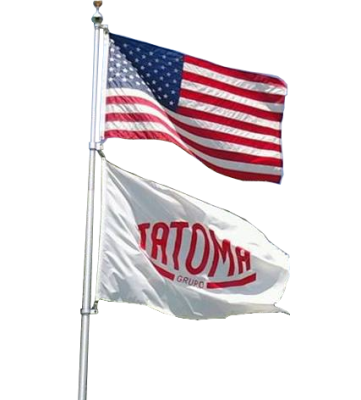 Tatoma straw choppers are compact and are highly durable. 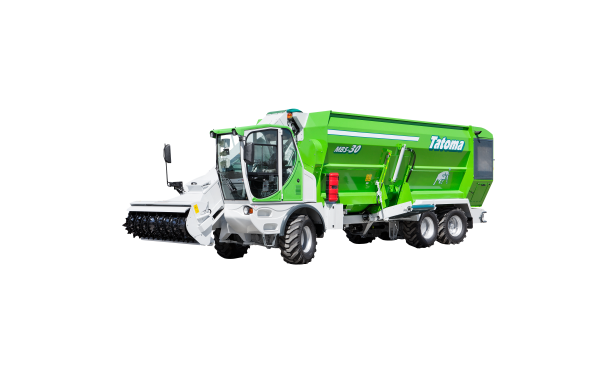 All Tatoma straw choppers consist of a rectangular box. The material is brought toward the chopping system with a variable speed chain and crossbar. 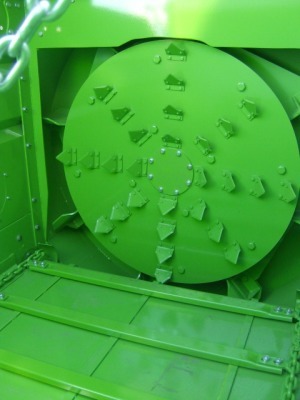 They come standard with a 2-speed gearbox to control discharge rates allowing material to be blown long distances and spread or placed in a windrow. 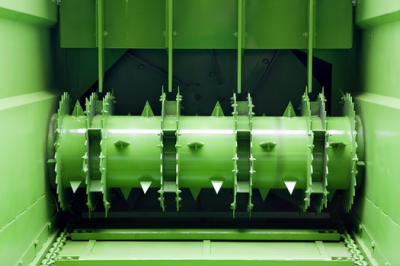 The E-Series chopping system has blades on the turbine, allowing straw and silage to be chopped and distributed. Used for bedding and feeding. Cut material will be between 2 and 6 inches long. Accepts material with high moisture content. Available with optional horizontal chopping roller for a more aggressive and faster cut. E-Series is available in 350 and 650 models only! 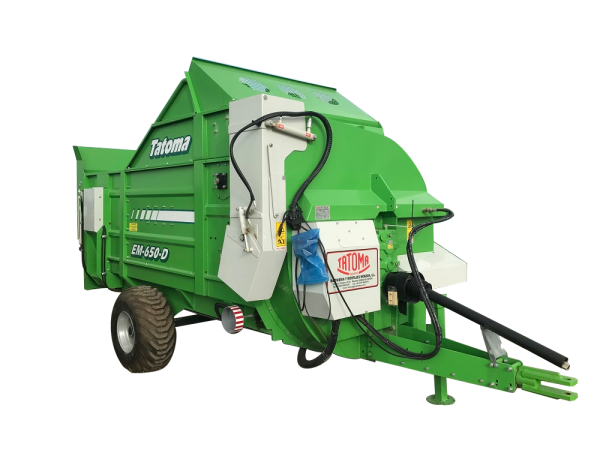 The EM-Series has a horizontal chopping roller with blades. 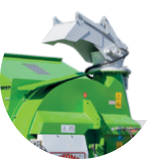 It has a control system that controls the entry of the bale to avoid jamming. Silage, hay, or straw is chopped and distributed as feed or bedding. Cut material is between 2 and 4 inches long. Accepts high moisture material. The EM-Series cuts a little faster than the E-Series. Available with a second horizontal chopping roller on the 350 and 650 models for a more aggressive and faster operation. The D-Series has cutting blades on the turbine surrounded by a screen. Hammers force the material through the screen for a very fine cut and uniform chopping. 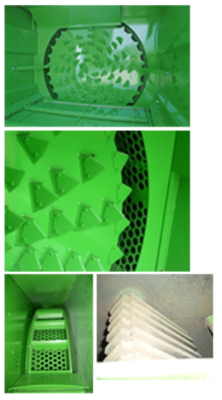 Designed to produce poultry bedding or any operation where a very fine, uniform cut is desired. Cut material is 1 to 2 inches long. Accepts only dry material. ​D-Series is available in 350 and 650 models only!